Since 2004, North American Cabinets has distinguished itself as a unique and innovative cabinet design firm. Their multiple lines of products range from modern to traditional styling offer endless possibilities. Their flexibility allows a variety of clients the ability to create a customized look that reflects their personal style through the use of a wide range of colors, species, door styles, moldings and accessories. 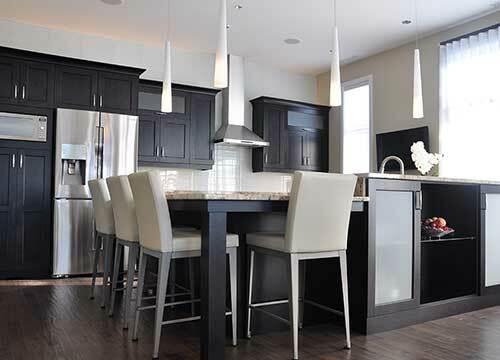 North American Cabinets specializes in custom fabrication for all types of projects anywhere in North America including kitchen cabinets, bathroom vanities, storage units, wall closets and fireplace mantels and furniture. Across the industry, their high quality products are only exceeded by the company’s personalized service from order to delivery.